Last Monday we held the first workshop associated with the project Changing Attitudes in Public Debate. The workshop was by invitation and designed to bring together some philosophers, social psychologists and linguists that analyse the verbal and non-verbal aspects of conversations. The main aim was to figure out whether there are regularities in people’s speech, in their bodily comportment (e.g. shoulder shrugging or eye rolling), in their tone of voice or in their pauses during debates that reliably indicated arrogance, and was perceived as such by other participants. I shall write another post about the progress we made during the day in this endeavour. Here instead I would like to make a few remarks about the tone of debate during the workshop itself. The conversation was remarkably friendly and collaborative without a hint of point scoring. We are a nice bunch of people but I don’t think this was the main (or at least not the only) reason why the atmosphere was so conducive to figuring things out together rather than establishing who is the smartest. Some features of the event I think contributed greatly to its feel and it might be useful to think them through. First, we were discussing arrogance and especially arrogance in debate. We therefore might have all been hypervigilant at times not to be, or appear, arrogant. Second, we belonged to different disciplines using different vocabularies, methodologies and working hypotheses. These differences were very apparent at various stages of the event. It was impossible not to be aware of how ignorant we each were of the fields in which others were experts. Such awareness I suspect promoted a dose of humility in every participant. Third, the event centred around brainstorming answers to the main question of how reliably to detect arrogance in debate. The practical orientation of the task contributed greatly I think to the spirit of collaborative enterprise. It illustrated for me that there is a significant difference between debate to achieve a shared goal and debate to decide whose opinion is right. Perhaps it is easier to avoid arrogance in discussions of the first sort and harder in those of the second. 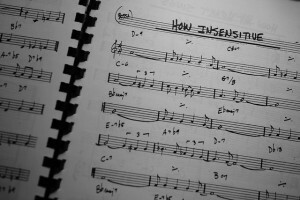 ‘How Insensitive‘ by Edwin van Buuringen is licensed under CC BY 2.0.